In the `70`s a Japanese musician named Tomita recorded electronic, keyboard dominated interpretations of various musical pieces. 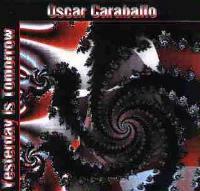 On this album, Oscar Caraballo seems to be giving the same treatment to Yes music. Some of this works quite well, while other tracks or sections of tracks seem not to do so well. Interestingly, the tracks that work well are not necessarily the ones that seem obvious to translate well. Conversely, some songs that seemed odd inclusions really succeed here. Yes fans will probably be quite intrigued by this interpretation of the band's works. Ordering information can be found at http://www.etherealharmony.com. At 4:43 in length, Caraballo obviously shortens this cut from the original's epic length. However, the electronic, new-agey rendition seems to capture all the major movements of the cut. The song does seem to suffer from the loss of some of the disonant fury of the original, but it is really an intriguing variation of the Yes version's classic themes. This is an incredibly strong variation on the classic Yes number. It seems to capture a lot of the spirit of the original piece, while moving it into some fascinating directions. The wooshy keys in the background tend to be a little overdone and a bit of the middle section seems to wander aimlessly, but both of these things are easy to overlook in the charm of the whole picture. This is a very suprisingly wonderful cut with strong moods and interesting textures. This section only works so well as presented here. Some of the keyboards are a bit overpowering. As it moves into the later segments of this movement, however, the tone gets more powerful. This section seems a bit awkward in rhythmic pattern, and some of the keyboard textures come across as rather cliched. However, this does actually make up the shorter movement of the piece. This number works amazingly well, becoming a fairly lush and intriguing instrumental. The musicician actually finds a keyboard voice that very closely approximates the tones of Anderson's vocals. This really helps to make the cut quite effective. This cut really seems to work very well in this format. The keyboards do a great job of mimicking guitar sounds at times, and the regal beauty of the original is enhanced while a bit of it's slightly over sappy texture seems to be gone. This is one of the standout cuts on this disc. The arrangement of this number certainly captures the inherent beauty of the composition quite well. 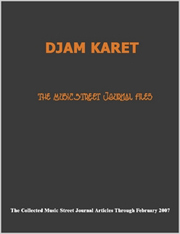 The latter segments, in particular, work very well with a lush and powerful approach. The opening segments here really capture the drama and majesty of the original, but as the second movement comes in, the interpretation is not as potent. The melody line still works in this format, but the general texture of the segment seems a bit lifeless. This number does not translate quite as well as it may have seemed it might. A later movement of the piece does seem to pick up the intensity for a time, though. In fact, much of that section is really powerful. Some of the original spirit is still lost, but this is a very interesting and at times awe inspiring portion of the piece. A considerably shortened rendition, this focuses on the "Leaves of Green" segment of the cut. It is a pretty performance of that segment. This opening section is intriguing, but loses some of the power of the original song. As a movement, this one seems to drag a little bit, but it has some considerably powerful moments. This is really the point where the track seems to find itself and start to pick up speed. Starting a bit slowly, Caraballo's addition of almost Wakemanesque elements to the mix brings a new flavor to the jam.